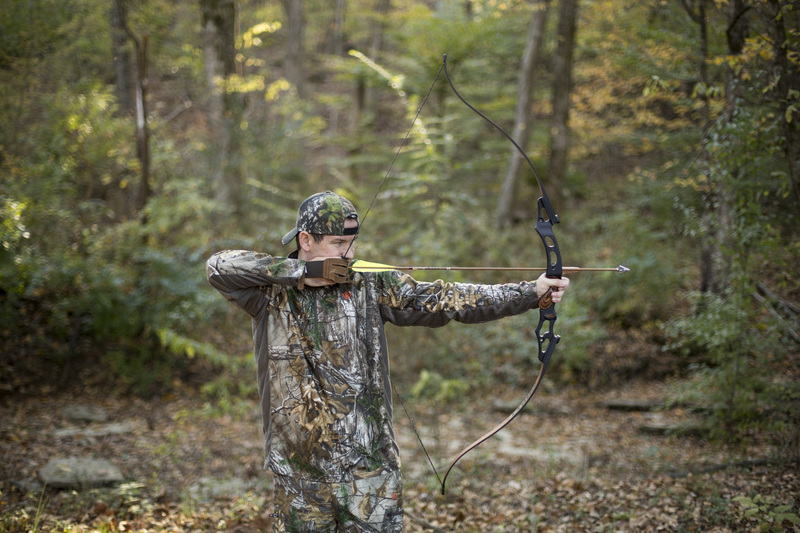 Unlike other forms of hunting, bowhunting and archery require a different kind of strength, both mentally and physically. Most bowhunters put a ton of focus on tuning their bow, while very few focus on tuning their muscles. If you have ever shot a bow before, you realize how many muscle groups are engaged throughout the draw. A lot of muscle groups are involved from forearms to core. Bowhunters and archers should continually strengthen these muscles in order to be prepared in the field or competition. We could make a case for the importance of every muscle in the body but here are the top muscles every bowhunter should focus on. Probably the most important muscles in the entire body are core muscles (lower back, abdomen, hips, pelvis). Having a strong core will keep you balanced and stable on the draw. Good posture equates to more consistent and accurate shots. Whenever you are pulling, whether it’s opening a door or drawing a bow string, you are engaging the back. It is the largest muscle group in the upper body and arguably plays the biggest role in shooting a bow. The Shoulders and Chest are engaged most prominently by the forehand holding the bow in position. It is important to have strong shoulders to keep a bow steady and held in position. The chest and triceps oppose the pulling motion of the draw. While one side of the body is engaging the back muscles, the other side pushes and stabilizes with the chest and triceps. Whether you are looking to pull a heavier draw weight, improve stability or become more stealthy by holding your draw longer, starting an archery workout routine can prove to be very beneficial. Often times, we as bowhunters have to hold in full draw longer than expected as we wait for a deer to step into a shooting lane. Strength training pays off when it’s crunch time. Below we have provided a sample workout for bowhunters and archers. While the following lifts are highly beneficial, the best archery exercise will always be shooting your bow. Spend enough time on a target and strength will increase. The following workout includes the best exercises for archers looking to improve their draw and hold position. We recommend using cables and bands as much as possible, as they keep tension all the way through the lift much like a bow string. Take 45 minutes out of your day, twice a week, and perform a similar workout to the one above for best results.